Lebanese Prime Minister Fouad Siniora condemned Israel's massacre in Qana today as a "heinous crime" and called Israeli leaders "war criminals." Reacting to an earlier atrocity, he wondered: "Is the value of human life in Lebanon less than that of the citizens of other countries?" The answer, at least as far as Israel is concerned, is an unambiguous "yes!" Israel's latest bloodbath, which claimed the lives of dozens of children and women hiding from the relentless bombing in what they hoped was a secure basement in Qana, betrays not only Israel's criminal disregard for the value of Arab human life, a typical colonial attitude towards natives, but also its increasingly fundamentalist perception of Gentiles in general as lesser humans. Israel apologists who will try to spin this new massacre as yet another "mistake" must expect their audience to have an awfully short memory or a very low IQ. Israel has explicitly indicated in the past few days that it may resort to such atrocious measures, especially since its armed forces have failed to achieve any tangible military gains after 19 days of rolling massacres and wanton destruction across Lebanon. Israeli minister of justice, Haim Ramon, issued a stern warning only days ago that a large area in south Lebanon was regarded by his government effectively as a free-fire zone, advocating indiscriminate bombing of villages inside it to ease the so-far unsuccessful advance of the Israeli army. "These places are not villages. They are military bases in which Hizbollah are hiding and from which they are operating," he said, adding that, since Israel had ordered Lebanese civilians to leave the area, "All those now in south Lebanon are terrorists who are related in some way to Hizbollah." Israel's biggest-selling paper, Yedioth Ahronoth, advocated raising the threshold of Israel's response to Katyusha rockets: "In other words: a village from which rockets are fired at Israel will simply be destroyed by fire." It is worth noting that all available evidence points to the fact that no Katyusha was fired by the Lebanese resistance from Qana before the bombing. Among Israel's staunch Zionist supporters in the West, the same "talking points" were parroted. Harvard academic Alan Dershowitz recently argued that "Hezbollah and Hamas militants [...] are difficult to distinguish from those 'civilians' who recruit, finance, harbor and facilitate their terrorism. Nor can women and children always be counted as civilians, as some organizations do. Terrorists increasingly use women and teenagers to play important roles in their attacks." He concluded by saying, "The Israeli army has given well-publicized notice to civilians to leave those areas of southern Lebanon that have been turned into war zones. Those who voluntarily remain behind have become complicit." Thus the massacre in Qana. Qana's name is associated with an earlier Israeli massacre. In 1996, during its military offensive codenamed "Grapes of Wrath," Israel's air force bombed a UN shelter in the village, slaying more than 100 civilians, mostly children, and inviting almost universal verbal condemnation but no real threats of sanctions or any other form of effective punitive measures from the international community. In the current Israeli war on Lebanon this is only the most recent episode in a series of smaller atrocities deliberately committed by the Israeli army against Lebanese civilians in an attempt to collectively "punish" them for the humiliating defeat its elite military units have so far experienced at the hands of the formidable Lebanese resistance, most noticeably in the legendary town of Bint Jbeil. This intentional and coldly calculated Israeli policy of targeting innocent Lebanese civilians and civilian infrastructure stems from a time-honoured, but hardly ever successful, Israeli doctrine of applying intense "pressure" against a civilian population in order to compel them, in-turn, to pressure the resistance into submitting to Israeli dictates, thereby doing Israel's bidding by proxy. 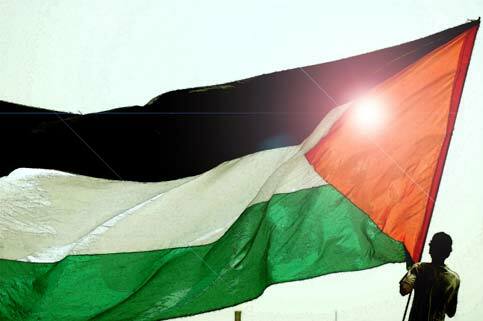 It has been consistently used against the Palestinians ever since the Nakba of 1948, and is still applied now in the ongoing barbaric offensive and hermetic siege against Gaza. Israel may have plagiarized this doctrine from the legacies of previous oppressors, but it has refined it to a degree that it no longer raises any moral qualms in most of Israeli society, where it is widely accepted by the public as a right, even a duty in the fight for Israel's "security." Such blatant racism, which may have been frowned upon in the past by many Jewish-Israelis as a pathological anomaly, is now quite popular in the Israeli mainstream, including among lawmakers, academics, journalists and, of course, military leaders. While it has become normal to read scathing -- occasionally valid -- critiques of the hateful and chauvinistic discourse "inherent" in Islamic and even Christian brands of fundamentalism, Jewish fundamentalism, which is among the key factors informing current Israeli apartheid policies and laws, remains a taboo subject that is rarely discussed or debated in the West. It is rooted in a long tradition of fanatic, yet popular, fundamentalist interpretations of Halakhah, or Jewish law, propagated by influential rabbis and internalized by a widely acquiescent Israeli society, secular and religious sectors alike. 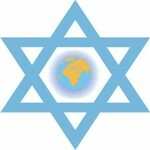 Even before the creation of Israel, the core concept in this fundamentalist worldview was publicly espoused by Rabbi Abraham Yitzhak Kook, the first Ashkenazi chief rabbi of Palestine, who said, "The difference between a Jewish soul and the souls of non-Jews ... is greater and deeper than the difference between a human soul and the souls of cattle." "When our forces come across civilians during a war or in hot pursuit or in a raid, so long as there is no certainty that those civilians are incapable of harming our forces, then according to the Halakhah they may and even should be killed ... Under no circumstances should an Arab be trusted, even if he makes an impression of being civilized ... In war, when our forces storm the enemy, they are allowed and even enjoined by the Halakhah to kill even good civilians, that is, civilians who are ostensibly good. In 1996, the same year the first Qana massacre was committed, Rabbi Yitzhak Ginsburgh, a leader of the powerful Lubavitch Hassidic sect, echoed the same principle, rhetorically asking, "If a Jew needs a liver, can he take the liver of an innocent non-Jew to save [the Jew]?," answering, "The Torah would probably permit that. Jewish life has an infinite value. There is something more holy and unique about Jewish life than about non-Jewish life." 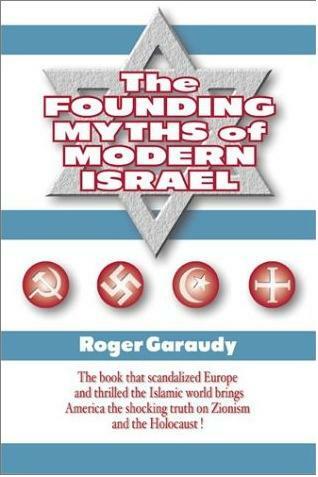 Moreover, Ginsburgh coauthored a book defending the 1994 massacre of Muslim worshippers in Al-Ibrahimi mosque (Patriarchs' Cave) in Hebron, in which he argued that when a Jew kills a non-Jew the act does not constitute murder according to the Halakhah, adding that the killing of innocent Palestinians as an act of revenge is a Jewish virtue. During the first months of the current Palestinian initfada, it was common for Israeli army spokespeople to justify killing Palestinian children throwing stones by saying that they "threatened human life." (B'Tselem Report) Not soldiers' lives, not Israeli lives, but human life. One cannot escape the implication that the alleged sources of the threat are not exactly eligible to be called human in the army's common diction. In this context, it is entirely justified to see Israel's second massacre in Qana as the rule, not the exception. This often ignored menace of Jewish fundamentalism needs to be addressed as seriously as other forms of fanatic religious thought which sows racial hatred, animosity and war mongering. 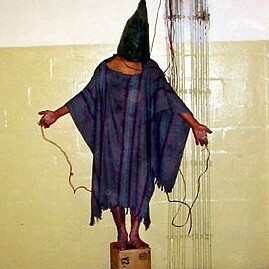 While adhering to moral principles alone will certainly not bring any of Qana's murdered children back to life or compensate any bereaved parent or loved one anywhere, perhaps insisting on the equal worth of all human lives, regardless of ethnicity or religion, and rejecting racism from any source, including from sanctimonious former victims, can help diminish the chances of such ruthless crimes recurring in the future. Irrespective of the Holocaust, or precisely because of it, Israel should not be allowed to get away with its racist, at-will flaunting of international law and its state terrorism against defenseless civilians. It is time to go beyond mere condemnation to properly channel irrepressible grief and simmering anger into morally sound acts of intervention. Just as it worked against apartheid South Africa, a comprehensive regime of boycott against Israel is urgently called for. People of conscience everywhere share the responsibility of stopping this unrestrained behemoth before it scorches everything in its blind quest for hegemony and colonial control. Jonathan Steele and Rory McCarthy. "Strike on bunker failed, says Hizbullah. The Guardian, July 20, 2006. Patrick Bishop. "Diplomats argue as all of south Lebanon is targeted." Telegraph, July 28, 2006. Harry de Quetteville. "You're all targets, Israel tells Lebanese in South." Telegraph, July 28, 2006. Alan Dershowitz. "'Civilian Casualty'? It Depends." Los Angeles Times, July 22, 2006. Israel Shahak and Norton Mezvinsky. 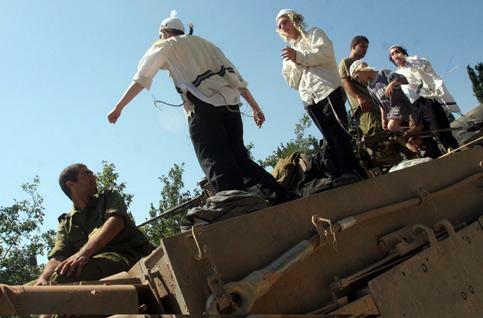 Jewish Fundamentalism in Israel. Pluto Press, London, 1999. p. ix. Israel Shahak. 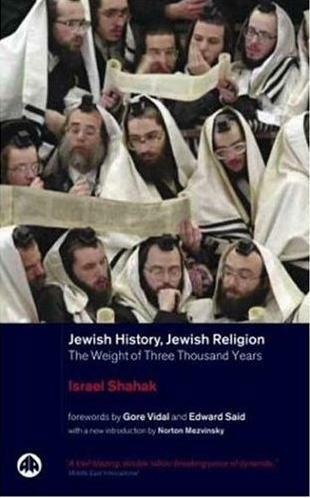 Jewish History, Jewish Religion - The Weight of Three Thousand Years. Pluto Press. London, 2002. P. 75-76.